As election season heats up, let's take a look at Jewish haredi politics and try to measure the sector’s influence in Israel. In this episode, we host Dr. Gilad Malach of the Israel Democracy Institute and Rabbi Yehoshua Pfeffer to understand how haredi parties became kingmakers in Israeli politics, why recent polls show a decline in their power and whether there is a chance that Shas and United Torah Judaism will join forces in the current campaign. Our panelists also discuss haredi voting patterns and question how much wiggle room an average haredi voter has when deciding who to vote for. We also learn what the “11th commandment” is. Do haredi voters and their leaders care about Israeli-Palestinian peace? Are we witnessing a democratization process within haredi society? 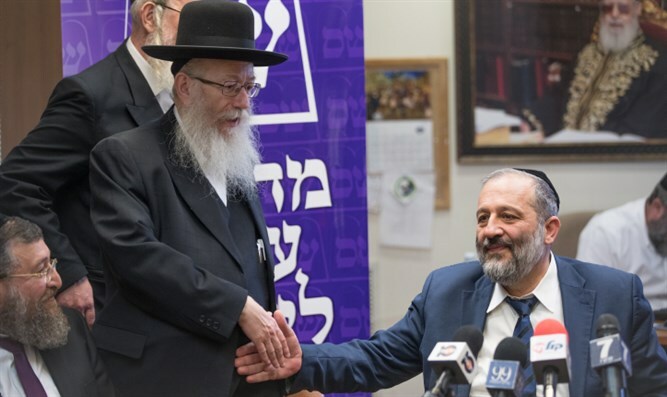 Could haredi parties find themselves in the opposition? How did politics become the haredi pastime? What do haredi voters know about Benny Gantz and are they likely to shift their support from Netanyahu to the rising political star? Towards the end of the episode, we tackle the sensitive issue of when, if at all, will women be allowed to run in the haredi parties.